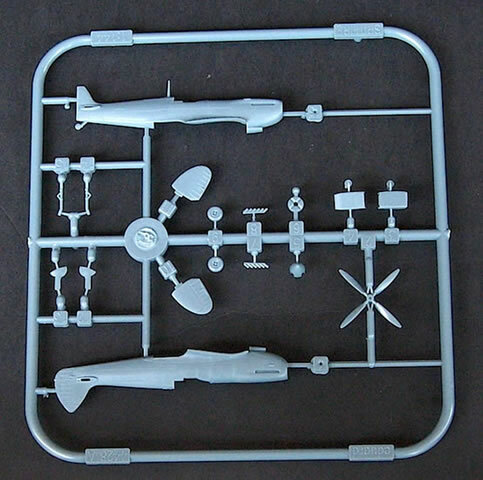 Contains parts for two complete kits, including 36 grey plastic parts; 2 clear plastic parts; 1 decal sheet with markings for 4 aircraft; 1 sheet of pre-cut canopy masks; 8 page full colour instruction booklet. 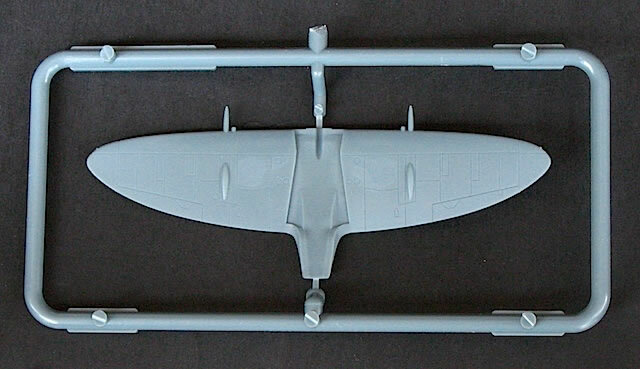 Eduard’s forthcoming 1/48 Spitfire Mk IXc has been much anticipated by modelers wanting an accurate and state-of-the-art Mk IX in this scale. 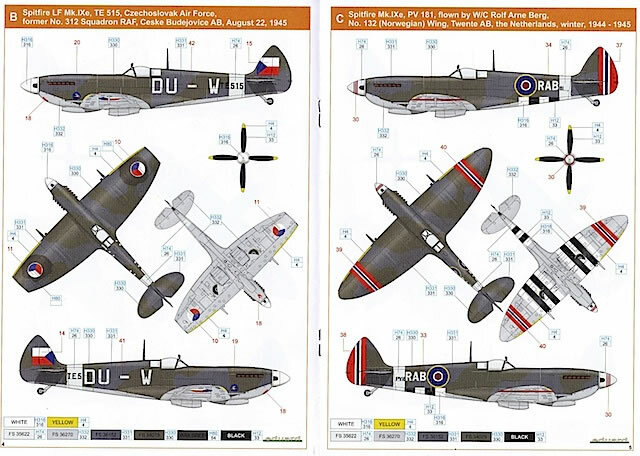 However, it isn’t the only Spitfire kit the company has been working on: late last year, and with little fanfare, Eduard released a brand new 1/144 Spitfire Mk IXe kit in a Dual Combo boxing. 1/144 Spitfires are not common. The Revell Mk I and Crown/Minicraft/Academy Mk V kits are elderly, and far from perfect. 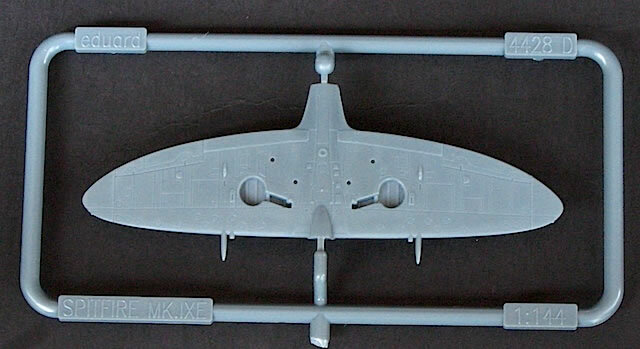 As for Mk IXs, my SAM Datafile on Merlin Powered Spitfires mentions that Eko released a 1/150 kit of this variant in 1978. I’ve read some hopeful forum posts asking 1/144 specialists Sweet to release a Mk IX, but I don’t think this has happened yet. There may be some other kits that I haven’t listed here, but I think it is safe to say that Eduard has not released its new kit into a crowded market. 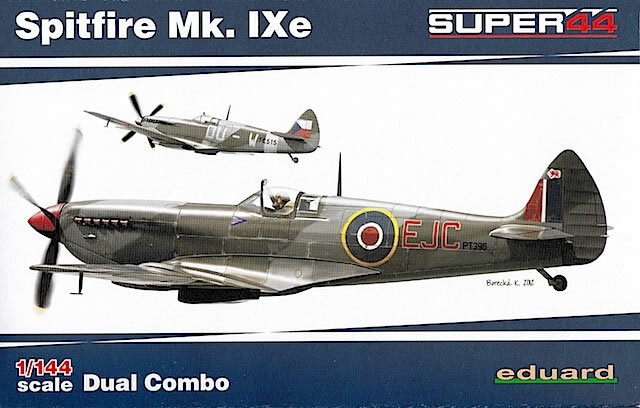 Eduard’s 1/144 Spitfire Mk IXe Dual Combo kit is packaged in a small end-opening box with a decent painting of two of the kit subjects on the front, and starboard profiles of all six subjects on the back. Inside are parts for two complete Spitfire IXe models. 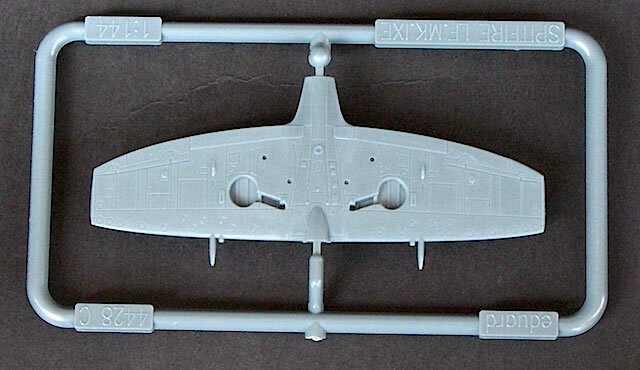 These are contained on four sprues of grey coloured plastic: one holding a single piece full-span wing, one holding a single piece clipped wing, and two identical sprues holding the fuselage halves and other airframe components. The two single piece canopies are separately bagged to avoid damage. Two points need to be made about these parts. The first is how small the Spitfire is in 1/144 scale. The fuselage halves are approximately 6.3cm (2 ½ inches) long, while the full-span wing is 7.8cm (just over 3 inches) in diameter. 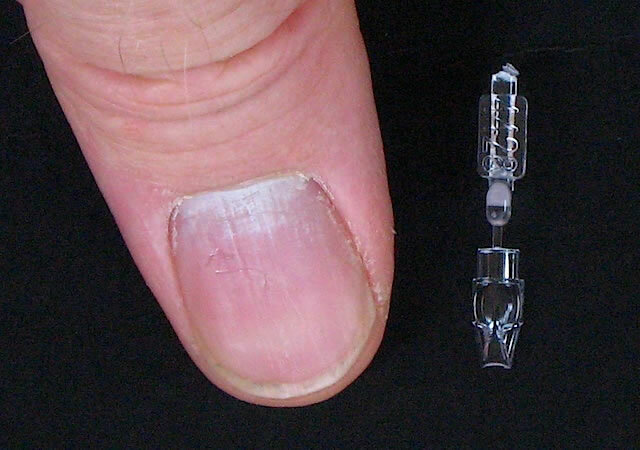 I’ve taken a photo of one of the canopies next to my thumb to provide a sense of scale – my thumbs aren’t dainty, but that is still a very small canopy. The second point is the quality of the plastic parts. I haven’t seen many 1/144 scale kits, but I suspect this is one of the best available in terms of moulding quality and finesse of surface detail. The panel lines are exceptionally fine, as are appropriately raised details like cannon and cowling bulges. The fully detailed wheel wells are also a highlight. Obviously, some compromises are necessary in this scale: the radio mast, tail wheel and carburettor air intake are moulded as part of the fuselage halves. 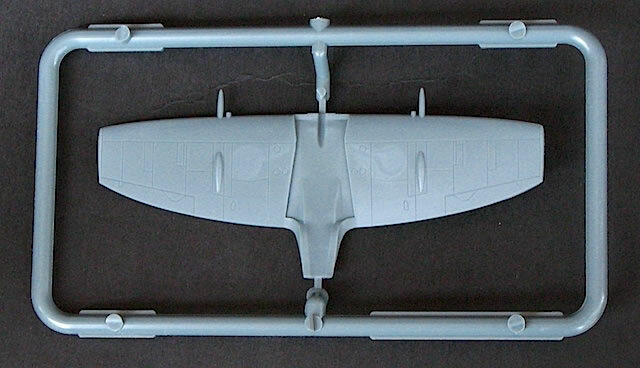 And unlike Eduard’s 1/144 Ju 52, the Spitfire has no cockpit detail; Eduard has decided to provide this in a separately available fret of pre-painted photo-etch. The kit’s shapes look good. I haven’t conducted an exhaustive accuracy check, but the fuselage and wing shapes look very reasonable when compared to the plans in the SAM Datafile. I also pulled out my Tamiya 1/32 Spitfire Mk IX kit, and did a quick comparison of some of the panel line details; the Eduard kit holds up well. 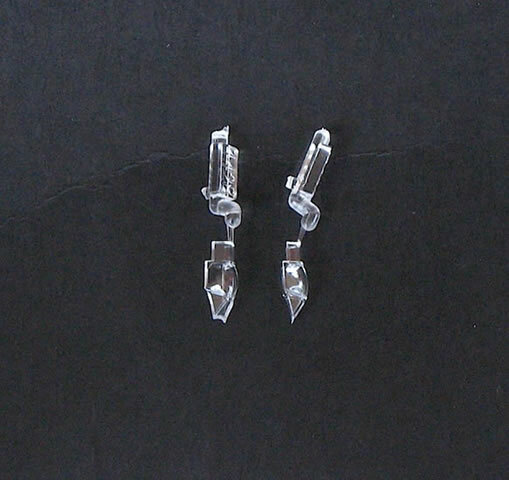 The small size of the parts means you must take great care removing them from their sprues. I used my JLC razor saw in preference to side cutters, and then a very sharp scalpel to slice off the final bits of excess plastic. The instruction booklet is eight pages long, with kit assembly covered in just one page! The remaining pages are devoted to full colour, four view drawings of the kit’s marking options, which are up to Eduard’s usual high standard. However one notable omission is the absence of placement instructions for the otherwise very welcome canopy and wheel masks; hopefully this is limited to the review copy only. 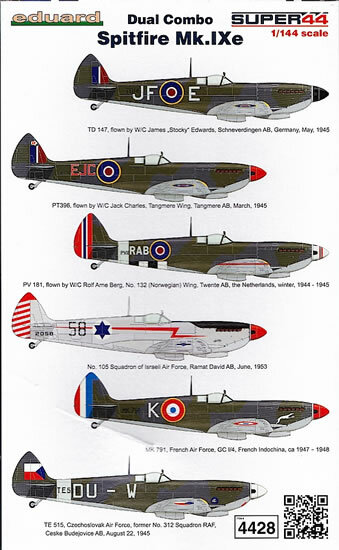 As a rule Spitfire Mk IXs were not colourful aircraft. Their most common finish was Dark Green/Ocean Grey upper surfaces and Light Grey undersurfaces, and this is the case here for five of the kit’s six marking options. A.	Spitfire Mk IXe, PT396/EJC, flown by Wing Commander Jack Charles, Tangmere Wing, RAF Tangmere, March 1945. This aircraft carried post-March 1945 ‘C’ type roundels on its upper wing surfaces; the red-and-white code letters provide another splash of colour. B.	Spitfire LF Mk IXe, TE515/DU-W, Czechoslovak Air Force (previously of No.312 Squadron, RAF), Ceske Budejovice, Czechoslovakia, 22 August 1945. This clipped-wing Spitfire provides an interesting contrast to the previous machine, with its overpainted RAF roundels and Czechoslovakian national markings. C.	Spitfire Mk IXe, PV181/RAB, flown by Wing Commander Rolf Arne Berg, No.132 (Norwegian) Wing, Twente, the Netherlands, winter 1944-45. This well-known but very colourful aircraft wore a combination of Norwegian and British national markings, as well as D-Day stripes on the undersurfaces. D.	Spitfire LF Mk IXe, MK791/K, GC 1/4, French Air Force, French Indochina, circa 1947-48. Another colourful Spitfire, this machine retained its original RAF camouflage but carried standard postwar French Air Force markings. E.	Spitfire Mk IXe, No.105 Squadron, Israeli Air Force, Ramat David, June 1953. Overall silver except for its black anti-glare panel, this machine was flamboyantly painted with a red striped rudder and a red lightning bolt along each fuselage side. F.	Spitfire LF Mk IXe, flown by Wing Commander James “Stocky” Edwards, Schneverdingen, Germany, May 1945. This clipped-wing Spitfire was finished similarly to option A. Not surprisingly, the accompanying decal sheet is very colourful. Quality also looks good. A nice touch is Eduard’s printing of the option E lightning bolts integrally with the Israeli national markings, to avoid any bleedthrough of colour. Eduard has also captured the correct shade of dull red in the RAF markings. Eduard’s 1/144 Spitfire Mk IXe is a lovely little kit that, even with the addition of an etched cockpit, could easily be completed in a few hours. The toughest part of the build will, I suspect, be painting; I’m not sure if I’m game to tackle invasion stripes in 1/144! 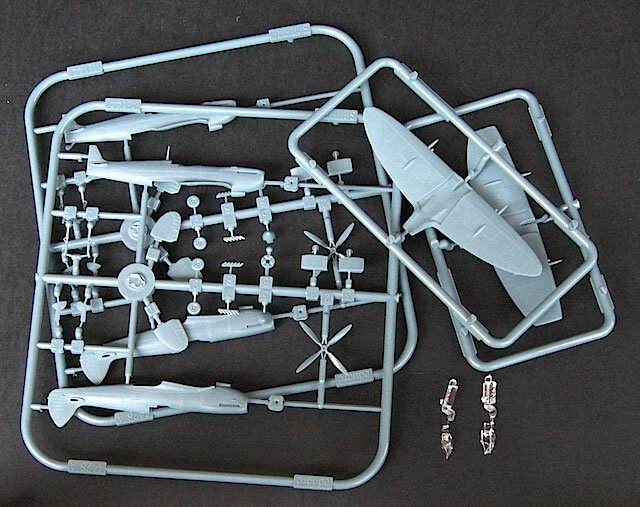 This kit is almost certainly the best available Spitfire in this scale, although it will shortly be joined by a sibling – Eduard has announced that a Mk IXc kit will be released in March 2013. 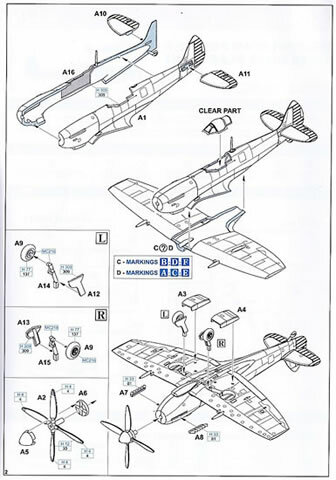 Robert Humphreys, “The Supermarine Spitfire: A Comprehensive Guide for the Modeller, Part 1: Merlin Powered” (SAM Publications, 2000). Thanks to Eduard for the sample and for the images.